A simple cake with simple ingredients, but so tasty and so good! Catalan Salt Pinch Cake is our Bake-Along No. 6, together with Lena and Zoe. I made this cake twice. The first time I made this, the cake was flat with an "eggy" smell to it. I knew then, that I did not beat the egg whites long enough. Dissatisfied, I made this again, and this time making sure that I beat the egg whites till really thick and glossy as instructed. It came out really fluffy, soft and very tasty. This cake is similar to our local sponge cake. This time, it doesn't have the 'eggy' smell, as the lemon zest gives it a light lemony fragrance. Just as Rose says, this cake is best eaten by pinching! She's right! I did cut a slice to eat and somehow it is not the same as pinching some from the pan! Do not remove the parchment paper till the whole cake is consumed. Try it! It's a fun way of eating cake! The kids enjoyed eating it this way! ....with this piece! I had this with a cup of Chinese tea. A lovely and light cake to snack on anytime of the day! Definitely worth making again. Let's go over to Lena of Frozen Wings and Zoe of Bake For Happy Kids and see their Catalan Salt Pinch Cake. For our next Bake-Along, we will be baking Coca-Cola Chocolate Cake from Cake Keeper Cakes by Lauren Chattman. Feel free to join in if you have this book, and just post it on 15/08, there's no linky to link to, as this is a Free and Easy Bake-Along! One 9 by 2-1/2 to 3 inch springform or cake pan, coated with shortening, bottom and sides lined with parchment. For the sides cut a 33 by 3-inch band of parchment, overlapping an extra piece if necessary to make it long enough. Wrap and press it against the inside wall of the pan. Use some extra shortening to coat the overlapping ends to hold them in place against the first strip of parchment. Twenty minutes or more before baking, set an oven rack in the lower third of the oven and preheat the oven to 325F/160C. Spread the almonds evenly on a baking sheet and bake for about 7 minutes, or until pale golden. Stir once or twice to ensure even toasting and avoid overbrowning. Cool completely. In a food processor, pulse the almonds and 2-1/2 tablespoons of the sugar until as fine as possible. Stop before the nuts start to become pasty. Pour the whole eggs into a 2-cup measure with a spout and whisk them lightly to break them up. In the bowl of a stand mixer fitted with the whisk beater, beat the egg whites on medium-low speed until foamy. Raise the speed to medium-high and beat until soft peaks form when the beater is raised. Gradually beat in the remaining sugar, stopping the mixer once to scrape down sides of the bowl. Continue beating until the meringue is very thick and glossy, but it will not be smooth. Detach the whisk from the mixer and use it to stir the almond mixture into the meringue until evenly incorporated. Reattach the whisk beater and, with the mixer on medium speed, add the beaten egg to the meringue 2 tablespoons at a time, beating for 2 minutes between each addition. It should take a total of 20 to 25 minutes, but be sure to beat for a minimum of 20 minutes. Beat in the lemon zest. Remove the bowl and beater from the stand. While the mixture is beating, weigh or measure out the flour. Sift the flour onto the batter and, using the whisk beater or a large balloon whisk, fold in the flour until fully incorporated. Reach to the bottom of the bowl and be sure that no white specks of flour remain. The best way to accomplish this is with your fingers, pinching any bits of flour to moisten them. Pour the batter into the prepared pan. (If using a 2-inch-high pan, the batter will come almost to the top of the pan). Bake for 25 to 35 minutes, or until a wire cake tester inserted in the center comes out clean and the cake springs back when pressed very lightly in the center. The cake will rise just a little and then sink slightly in the center. Set the pan on a wire rack and immediately loosen and remove the sides, leaving the parchment attached to the cake. (If using a solid pan, lift the cake out using the parchment and set it on the wire rack). Allow the cake to cool until it is warm or room temperature, about 1 hour. Set the cake, still in the parchment, on a serving plate. (Leave the parchment in place until the entire cake is consumed). Delicious eaten in the traditional way by pinching out pieces of the fluffy cake, the cake is also lovely for a tea: Serve pinched or sliced with fresh raspberries and lightly sweetened whipped cream. The cake keeps wrapped airtight for 1 week at room temperature, for 10 days refrigerated, and for 6 months frozen. I have to admit, Fish & Chips is not one of my favourite food. Whenever we go out to eat at restaurants where there is Fish & Chips on the menu, both my kids would order. It is their favourite! Not for me though, I really do love fried fish but I have never liked Fish & Chips! So when my hubby told me that he will not be joining us for dinner at home last Friday, I knew that this would be the perfect time to try my hands at making Fish & Chips for my kids. 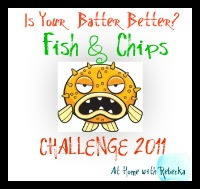 I have two pieces of frozen Dory fillets which I bought about two weeks ago for exactly this, as the lovely Rebecka from At Home With Rebecka is having this fun challenge "Is Your Batter Better" Fish & Chips Challenge. I have never made Fish & Chips at home before, mainly because of the deep frying which would result in wastage of oil and also because I try not to deep fry too often, which I seldom do, anyway. So the quest for the "perfect" batter begins, I source for it from the internet, and there are so many that I couldn't decide which is the best. Most recipes calls for beer or soda water for the batter, I just use whatever I have in my pantry. The original recipe I copied from somewhere, and I cannot recall from where! But I tweaked it a little and came up with this batter. Now how do this batter fare? Pretty good, I should say! It is really crispy and light. And tasty too! Be sure to test-fry a teaspoon of the batter first to ensure that it is sufficiently seasoned, before you coat the fish. I made two large pieces of fillet but the batter is enough for 4 pieces. My kids gave the thumbs up for this! They say it was really good! They love the chips too! It is good but I did not fry it crispy enough, and did not season them with any salt, but they taste just as good! This is good! I think cod or snapper would be better, as the Dory fillet has a layer of fat that I have to discard before frying, but it is really economical to use Dory fillet, as cod is extremely expensive over here! Do you have a favourite batter for your Fish and Chips? 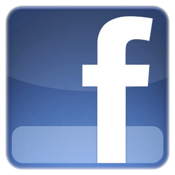 Share it and join in the fun. Rebecka will try out all the recipes submitted and decide which is the best! This challenge is on for another 218 days! Pay a visit to At Home With Rebecka for the full details, and at the same time, enjoy her lovely blog! Rebecka has wonderful recipes and she's good at creating new ones! Come on, make some Fish and Chips for your family and submit your recipe to "Is Your Batter Better" Fish & Chips Challenge. See you there! Rebecka, I hope you enjoy trying out this recipe! This may not be the best, but it is fun, as this is the first time that I've actually attempted Fish & Chips at home and it was great seeing that my kids really enjoyed it! Thank you for the Challenge! For the chips : Peel potatoes and slice into long sticks about 1/4 inch thick. Place them in a bowl, pour enough ice cold water to soak. Place the bowl in the fridge and leave for an hour or so. Seasoned Flour for coating : Mix flour, salt, paprika powder and black pepper powder in a large wide plate. Keep aside. 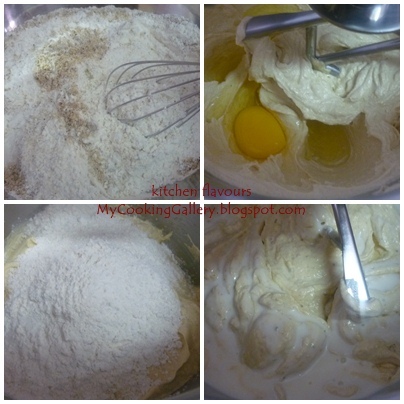 For the batter : In a large bowl, whisk egg gently and add in water, whisking till evenly mixed. Add in flour 1/4 cup at a time, whisking till evenly mixed and there are no lumps. Make sure the batter is smooth. Add salt, paprika powder and black pepper powder, whisk till evenly combined. Keep covered at room temperature for 20 minutes. To fry the chips : Drain potatoes and wipe dry with kitchen towel. Heat oil on medium heat, and fry potato slices, depending how big your pan is, you may need to separate into two or three batches to fry. Fry for about 4-5 minutes until light brown. Remove and drain on paper towel. Repeat with the rest of the potaotes. To fry till crisp, increase heat slightly. When oil is hot, place potatoes into hot oil and fry for another minute or two, stirring gently until potatoes are golden brown and crisp. Remove and drain in paper towel. Place potato in baking tray lined with parchment paper and keep in oven with low temperature (about 110C) to keep warm. To fry the fish : Heat oil for deep frying. Rinse fish and pat dry with kitchen towel. Coat fish in Seasoned Flour on both sides till well coated, shaking off excess flour. Dip fish in batter (stir before coating) on both sides till evenly coated. Carefully release fish in hot oil on medium heat and fry till light brown. Turn over and fry till both sides are golden brown. This may take about 5 minutes on each side. Remove fish and drain on kitchen towel. Serve with chips seasoned with a little salt, your favourite dipping sauce and salad of your choice. Enjoy! Cooked this the second time in less than two weeks. Back by popular demand! Request from my kids. I cooked this last week, with only half a chicken, after braising, well, you know, the chicken sort of shrunk in size! I cooked a whole chicken this time. This chicken is braised in the onions and shallots sauce. The balance of saltiness, sweetness and the flavours from the onions and shallots are delicious. This recipe calls for 1-1/2 tablespoon of sugar, but I only use less than 1 tablespoon. I would advise to add in a little sugar and try whether the sweetness is enough. Too much of sugar will dominate the sweetness of the onions. And I add on another extra onion, I love onions and I feel that onions always makes a dish tastes better. Braise over low heat, during braising, when it appears dry, some chicken stock or water may be added in. My family love sauces, so when it gets a little too thick at the end, I add in a little more chicken stock to the consistency I want. Let it boil a couple of minutes more. This is really good with some plain white rice. My son's favourite chicken dish, at the moment! This is a great dish to go with plain white rice, especially for kids, they will enjoy the tender chicken and the delicious gravy over the rice. Yummy! Place the drained chicken on a large platter and rub with 1-1/2 tablespoons of the dark soy sauce, making certain the chicken is well coated. Tie the chicken legs together with string. (I skipped this step). Heat a wok over high heat for 40 seconds. Add the peanut oil and coat the wok with it using a spatula. When a wisp of white smoke appears, add the ginger and garlic and stir. When the garlic turns light brown, add the shallots and onion, stir to mix, and cook for 1-1/2 minutes. Add the bean sauce, stir and mix, and cook for 1 minute. Add the oyster sauce and stir well. Add the wine and stir in. When the mixture begins to boil, and the stock and return to a boil. Add the remaining dark soy sauce, the regular soy, and the sugar, mix well and return to a boil. Place the chicken in the wok, breast side down, and with a spatula coat the chicken well. Cook for 2 minutes. Turn the chicken over and repeat until all 4 sides are sealed. Care should be taken that the heat is not too high, or the chicken skin can burn. Turn off the heat. Transfer the chicken and sauce to a Dutch oven, breast side up. Cover and bring to a boil over medium heat. Lower the heat and simmer for 30 minutes, covered. Use a wooden spoon to move the chicken about several times to prevent sticking. Turn the chicken over and simmer for another 45 minutes, moving the chicken with a wooden spoon. Turn off the heat and allow the chicken to rest in the pot for 20 minutes. The sauce should reduce to 1-1/4 cups. Remove the chicken to a cutting board, tail up, breast out. With a cleaver, cut from the tail down the backbone, until the chicken is cut in half. Remove the skin and bones. Cut into bite-sized pieces, place on a serving platter, pour the sauce over the chicken, sprinkle with coriander, and served with cooked rice. These gorgeous strawberries, which are grown locally in Cameron Highlands, Malaysia are on offer from TESCO. I bought three packs home and churned out this delightful frozen yoghurt. Though our local strawberries are not as sweet as the imported ones, they are still wonderful. I use my homemade yoghurt for this. Frozen yoghurt is definitely a healthy option to ice cream that has egg yolks and cream, and is just as delicious! The sliced strawberries macerated in the sugar and vodka with its own juices. Delicious! Look at the beautiful gorgeous colour! As what David says, "the biggest blast of strawberry flavour imaginable"! This is so refreshingly delicious! Notes from David " This frozen yogurt is a snap to put together, especially welcome in the summer which is when you may want to limit your time in a warm kitchen. But don't let its ease of preparation fool you; this vibrantly coloured frozen yogurt provides the biggest blast of strawberry flavour imaginable." Slice the strawberries into small pieces. Toss in a bowl with the sugar and vodka or kirsh. If using, stirring until the sugar begins to dissolve. Cover and let stand at room temperature for 1 hour, stirring every so often. This cake baked up beautifully. It is really moist, and you would never know that there's wholewheat flour in it if you take a bite, maybe because the amount of wholewheat flour is just 1/3 cup. This is a nice cake, but it is a little too sweet for me. I usually reduce the sugar for most cake recipes, but I did not for this cake! Instead of 1 cup firmly packed brown sugar, I very "loosely-packed" instead, and it is still sweet! Let's hop over to my baking buddies Lena of Frozen Wings and Zoe of Bake For Happy Kids and see their version of this cake. For our next bake-along we will be baking Catalan Salt Pinch Cake from Rose's Heavenly Bakes and will be posting it on 28th July. If you have this book and would like to join in, please do, just post about it on 28th July, that's it! There's no linky to link to, after all, this is a "Free and Easy Bake-Along"! Preheat the oven to 350F. Coat the inside of an 8-inch square baking pan with cooking spray and dust with flour, knocking out any excess. Whisk together the butter and brown sugar in a large mixing bowl. Whisk in the eggs and then the milk. Stir in the all-purpose flour, whole-wheat flour, baking powder, ground cinnamon, and salt until combined. Stir in the walnuts, raisins, and carrots. Scrape the batter into the prepared pan and smooth the top with a rubber spatula. Bake the cake until it is golden and a toothpick inserted in the center comes out clean, 35 to 40 minutes. Let the cake cool in the pan for about 15 minutes, invert it onto a wire rack, and then turn it right side up on a rack to cool completely. Cut into 9 squares and serve. I love ready-to-eat prunes in baking than actually eat them as they are. When used in baking and desserts, they tastes wonderful and the flavours really stands out. Prunes are rich with vitamins, high in fiber and virtually no fats! This cake recipe uses prunes and pears. I used apples instead of pears and some Sunsweet Ready-to-eat prunes which has been sitting on my kitchen table for the last two months or so! This cake is moist, soft and really good! Another wonderful recipe from Dorie Greenspan which is definitely a keeper. 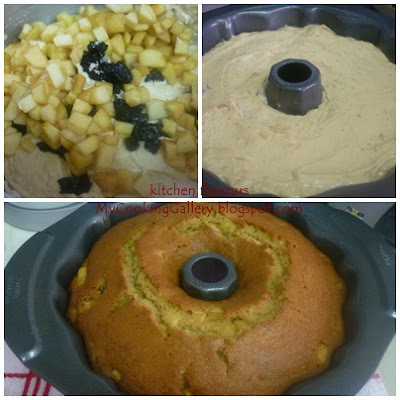 As usual, I reduced the brown sugar, and it is just right for me, it is not overly sweet, just the right amount of sweetness, together with the slightly sourish tangy prunes, this cake is wonderful. Good either with a cup of coffee or tea, though I would go for tea with this. Whisk the flour, ground hazelnuts, baking powder, baking soda, salt in a medium bowl. Cream the sugar and butter and add in the eggs. Add in the flour alternately with the buttermilk, ending with flour. I replaced the buttermilk with 2/3 cup of homemade yoghurt and 1/3 cup of milk, mix them together. Buttermilk is quite costly over here, and not easily available too, and once the carton is opened, it does not keep for long. This substitution of buttermilk with yoghurt and milk is one of the handy tips by Dorie, which is really great, as I always have homemade yoghurt in my fridge. I only buy commercial yoghurt as a starter, ever since I started making my own, which is gloriously creamy and delicious. If you have not tried making yoghurt before, try it, it is really very easy, no equipment is necessary. I did not use any special equipment at all. All you need is a deep pot, 1 litre of milk and 2 tablespoon of live cultured yoghurt starter! 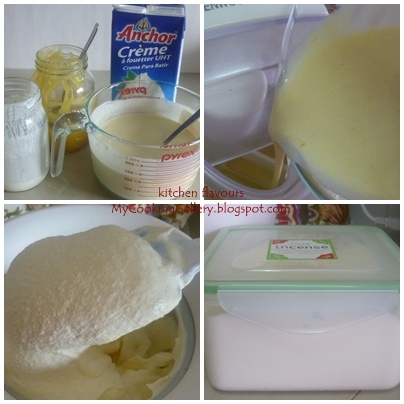 For homemade yoghurt recipe, click here. Add in the chopped apples and prunes, stir to combine. Pour into my lovely WILTON bundt pan :) and bake for about 60-65 minutes, check to see whether top is browning too fast, and cover with a piece of aluminium foil if needed. I checked the cake at 45 minutes of baking time, and found that it is browning too fast, so a piece of aluminium foil is placed on top. A lovely cake is ready! The prunes and apples are scattered all over the cake, yummy! I gave half of this cake to my nice neighbour! The texture is really soft, moist, and yummy! GETTING READY : Center a rack in the oven and preheat the oven to 350 degrees F. Butter a 9 to 10 inch (12-cup) Bundt pan, dust the inside with flour and tap out the excess. If your pan is not nonstick, dust the interior of the pan with flour, then tap out the excess. (If you've got a silicone Bundt pan, there's no need to butter or flour it). Don't place the pan on a baking sheet - you want the oven's heat to circulate through the Bundt's inner tube. Whisk together the flour, nuts, baking powder, baking soda and salt. Working with a stand mixer, preferably fitted with a paddle attachment, or with a hand mixer in a large bowl, beat the butter and sugar together at medium speed until light and fluffy, about 3 minutes. Add the eggs one at a time, beating for 1 minute after each addition. Beat in the vanilla and the almond extract, if you're using it. Reduce the mixer speed to low and add the flour mixture and the buttermilk alternately - add the flour in 3 additions and the buttermilk in 2 (begin and end with the dry ingredients). Mix only until the ingredients are incorporated and scrape down the bowl as needed. With a rubber spatula, stir in the pears and prunes. Scrape the batter into the pan and smooth the top with the spatula. Bake for 60 to 65 minutes, or until a thin knife inserted deep into the centre of the cake comes out clean. (If the cake looks as if it's browning too fast, cover the top loosely with a foil tent). Transfer the cake to a rack and cool for 10 minutes before unmolding, then cool to room temperature on the rack. When your're ready to serve, dust the top of the cake with confectioner's sugar. STORING : Not surprisingly, this cake is a good keeper. It will keep for 5 days wrapped well and at room temperature - it's really better the next day after it is baked than it is on the bake day - and it can be frozen for up to 2 months; defrost still wrapped. I love lemon curd! This is the second recipe that I've tried, first one being David Lebovitz's, here. I thought of trying out other recipes, and this particular recipe I got from Rachel Allen's "Rachel Favourite Food At Home", Rachel's method of cooking this curd is simpler. The curd is really tangy with full flavour of the lemons! For those who likes a sweeter curd, extra sugar can be added. I like both David's and Rachel's curd recipes, but when it comes to ease of making, I think Rachel's simpler! The beautiful colour of the lemon and the egg yolks gives a gorgeous looking curd. Rachel has even provide a recipe for making Lemon Curd Ice Cream, which of course I can't help, but make that too! Beat the whole eggs and extra egg yolk together. Melt the butter in a saucepan over a very low heat. Add the caster sugar, grated zest and lemon juice and then the beaten eggs. Stir carefully over a very gentle heat until the mixture thickens. This may take about 10 minutes. If the heat is too high, the eggs will scramble. When the mixture is thick enough to coat the back of a spoon and leave a clear mark when you push your finger through it, the curd is cooked ready. Remove from the heat and pour into a sterilized jar. Allow to cool, then place in the fridge for up to 2 weeks. Let's have some tangy ice cream! Ingredients for this tangy ice cream, lemon curd, yoghurt ( I use homemade yoghurt) and creme fraiche (I use whipping cream). According to Rachel Allen, you don't need an ice cream machine to make this. But I did, and since I use whipping cream, might as well whip it for a creamy and fluffier ice cream. This is a really tangy ice cream, full of lemon flavour. If you like your ice cream sweeter, you have to add more sugar, as this is quite sour. I like it like this, tangy and sour! Enjoy! Fold together the lemon curd, yoghurt, creme fraiche and ginger and place in the freezer for a few hours until frozen. This is a lovely and tasty tofu dish. It is the first time that I'm cooking with Edamame Beans (soy beans), which I usually have at restaurants, but never at home. I use the frozen ones for this dish, and I love it! It's healthy and delicious. This recipe for Spicy Tofu and Edamame Beans is from Ching-He Huang, ever heard of her? She's a young and talented chef specializing in Chinese cooking. Her recipes are simple, quick and looks delicious. Most of the ingredients used are the basics which you can find in any Chinese kitchen, and that works for me. Ever wonder how tofu are made? Well, there's an interesting video here, where it shows exactly that and features Ching-He Huang cooking up this lovely tofu dish. Rinse and pat dry firm tofu, cut to 1/2 inch thick rectangles. A delicious plate of tofu is ready ! I love everything about this dish. The tofu has absorbed all the flavours from the soy sauce and balsamic vinegar, the sweet Edamame beans together with the aroma and lovely taste of the corianders are just great. Get a good generous bunch of young tender corianders. This dish is not spicy at all, of course it depends from the heat of the red chillies, for a spicier dish, use chilies with more heat, if you like. Really good with steamed rice. Perfect for vegetarians. Enjoy! I'm sharing this with Hearth and Soul Hop over at Mom's Sunday Cafe. To make the bean curd : Heat the groundnut oil in a large flat-bottomed pan over a medium heat. Add the bean curd, and cook for 2 minutes. Add the light soy sauce and cook until the sauce has reduced and the bean curd is browned on one side. Using a small palette knife or fork, lift and turn each piece, careful not to break the bean curd. Cook just to colour the second side. Add the dark soy sauce, and vinegar, and cook until the liquid has reduced by half. Season the dish with the dried chili flakes. Transfer the bean curd to a serving plate and set aside. To make the edamame : Reheat the pan and add the groundnut oil. Stir-fry the chili for a few seconds, and then add the edamame beans. Add a sprinkle of water to help create steam, and cook for less than 1 minute. Season the edamame with the light soy sauce, and vinegar, then stir in the chopped cilantro. To serve, pour the edamame beans over the bean curd and serve immediately. For a fuller meal, serve with steamed rice. This is a tasty nutritious dish. 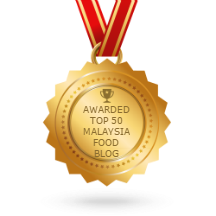 Here soya beans that have been made into bean curd are introduced to fresh soya beans (edamame) and the contrast is fabulous, a vegetarian marriage made in culinary heaven. Simple to prepare in a matter of minutes. A couple of days ago, we had my birthday dinner at a Vietnamese restaurant, a treat from my hubby. Yup, no cooking on that day :) We were late, as my kids had some schoolwork to finish and by the time we reached the restaurant, we were really hungry! It was a lovely dinner. I enjoyed the appetizers more than the main course! Took some pictures to share. Vietnamese Spring Rolls, this is REALLY good! Served with some delicious sweet salty sauce, yummy! There's another appetizer dish which we ordered, a huge piece of prawn crackers topped with fresh shredded veggies with a drizzle of light sweet and sour sauce , with cold prawns and squids, really delicious. I have forgotten to take the photo for this appetizer. A side dish, small little saucers filled with steamed rice flour topped with some fried shallots, garlic (and some other secret ingredients!) and croutons, with some sauce to spoon over and enjoy! Really good! I ordered this for myself, Vietnamese Rice Vermicelli with a pot of sour spicy soup over a hot mini stove, with fresh prawns, celery, tomatoes and bean sprouts. Nothing special about this main dish, quite ordinary, I still prefer the appetizers! My hubby ordered Fish braised in sweet and salty sauce, with a pot of hot sour soup over a mini stove, some prawns, veggies and a bowl of rice. The fish is nice. A glass of delicious refreshing drink! Basil, Lime and Soda, this is so good! A pot of Vietnamese tea for my hubby. The cute little saucer has a depression in the centre to place the little teacup. We really enjoyed the dinner and I would not mind going back there again just for the appetizers! By the time we reached home it was already 10.30pm and all of us were so stuffed from dinner that we did not even have our dessert. I made for myself Chocolate and Walnuts Toffee Tart, on that same evening, before we left for dinner. By the time we came back, the chocolate has not quite set yet. And since we were so full from dinner, I placed the tart in the fridge, after the birthday song :) and only have it the next day. Oh my! this is SO DELICIOUS! I am overall not a number one fan of chocolates, but this is incredibly good! If you love chocolates, please do make this! It's not difficult to do, I would say it is quite simple and easy, and the end result is just fantastic! The original recipe uses hazelnut, but since I have only walnuts, I use that instead. Rachel says to serve it at room temperature, but we prefer it chilled, take it out from the fridge and leave it for about 5-7 minutes before serving. Heavenly! The sweet crust is not sweet at all, it has all the right balance of butter and sugar, I really like the crust, it would be a nice basic crust for any sweet tarts. The walnut toffee filling is so good, with just the right amount of sweetness. The chocolate mousse is smooth, creamy and delicious. I use a bar of semi-sweet chocolate instead of dark chocolate as that was what I had, and it is lovely. Put them all together, the lovely crust, the walnut filling and the smooth creamy chocolate, and you will get a delicious, gorgeous chocolate tart! Go make this! Roll out the pastry to line a 25cm (10 in) tart in. Cover and chill for 20 minutes, then blind bake. The pastry will not go into the oven again, so it must be completely cooked. For the hazelnut toffee layer, place the butter, cream and brown sugar in a saucepan, bring to the boil and simmer for 2-3 minutes until slightly thickened. Remove from the heat, add the hazelnuts and allow it to cool. Spread over the cooked tart shell. For the chocolate mousse, place the cream in a saucepan and bring to the boil, remove from the heat and immediately add the chocolate, stirring until the chocolate has melted and mixed with the cream. It should be just tepid now. Pour over the hazelnut toffee in the pastry case. Place the tart somewhere cool until the chocolate mousse has set. If you are keeping it in the fridge, let it come to room temperature before you serve. Dust the tart with cocoa (if using), slice and serve with softly whipped cream. This makes enough to line one 28cm (11in) square or one 25cm (10 in) square tin (with a little left over), or two 20cm (8in) square tins, (it is best if they have removable bases). Uncooked pastry freezes perfectly, so it is handy to have some in the freezer. It will also keep in the fridge for a couple of days. Place the flour and butter in a food processor. Whiz for a few seconds, then add half the beaten egg and continue whizzing. You might need to add a little more egg, but don't add too much - the pastry should just come together. (If making by hand, rub the butter into the flour, then use your hands to bring it together with the egg). Flatten out the ball of dough to a thickness of about 3cm (1-1/4 in), wrap or cover with cling film, and place in the fridge for at least 30 minutes. When you are ready to roll the pastry, remove from the fridge. Place the pastry between two sheets of cling film, which should be bigger than your tart tin. Using a rolling pin, roll it out until it is no thicker than 3mm (1/8 in). Make sure to keep it round, if the tin is round, and large enough to line the base and sides of the tin. Removing the top layer of cling film, place the pastry upside-down (cling film side facing up) in the tart tin. Press into the edges, cling film still attached and, using your thumb 'cut' the pastry on the edge of the tin to give a neat finish. Remove the cling film and pop the pastry in the freezer for at least 10 minutes. Blind baking is a way of partially cooking a pastry case before adding its filling. Preheat the oven to 180C (350F), Gas mark 4. Line the pastry with greaseproof paper when cold (leaving plenty to come up the sides), fill with baking beans or dried pulses (you can use these over and over), and bake for 15-20 minutes, until the pastry feels dry. Remove the paper and beans, brush with a little leftover beaten egg and return to the oven for 2 minutes. Take out of the oven and put to one side while you prepare the filling. This can be easily made a day in advance. For our Bake-Along, together with my baking buddies, Lena from Frozen Wings and Zoe from Bake For Happy Kids, we have decided to bake Chocolate Almond Torte from Joy of Baking. I actually baked this twice! The first time, I burned the top, as the temperature of my oven is a little high, I may have forgotten to adjust the temperature from my last baking! Even though the torte was lovely, it is just not the same, eating it by scraping off the top! After all, the rustic and crisp top is what makes this torte. I was dissatisfied and decided to bake this again. It was perfect the second time round. Excuse this poor photo, it was taken at 5.20 in the morning, you know, still groggy from sleep and barely awake, as I have not had my "wake-up coffee" yet! By the time it was bright enough for some decent shots, more than half the cake has already gone, my daughter took some to school to share with her friends. This cake will rise above the baking pan during baking, but will settle down after baking, leaving a crater like top that remains crips, and some cracks. Do not worry that the crips top falls apart upon cutting, it is supposed to be like that! Just put it back in place. Though this is great when eaten at room temperature, it is heavenly when eaten chill from the fridge. When chilled, the texture is fudgy, chocolaty, moist and dense. A bite of it will almost melt in your mouth! This is a delicious chocolate torte. If you are a chocolate lover, you will definitely enjoy this. Let's hop over to Lena's and Zoe's and see their lovely cake. For our next bake-along, we will be baking "Super-Delicious Wholewheat Carrot Cake" from Cake Keeper Cakes by Lauren Chattman, and will be posting that on 18/07. Stay tuned for that! Preheat oven to 350 degrees F (177 degrees C) and place oven rack in the middle of the oven. Place the sliced or blanched almonds on a baking sheet and toast in the oven for about 5-7 minutes or until lightly browned and fragrant. Remove from oven and let cool. Once completely cooled, place the nuts in a blender of small food processor and process until finely ground. Note : The almond needs to be at room temperature before grinding to prevent them from clumping. If you find the almonds still clump when you ground them, add about 1 tablespoon (13 grams) of the sugar from the recipe. The sugar will help prevent clumping as it absorbs any oil exuded from the almonds. Increase the oven temperature to 375 degrees F (190 degrees C) and line an 8 inch (20cm) sprinform pan with parchment paper. Set aside. Meanwhile place the egg yolks and 1/2 cup (100 gms) granulated white sugar in the bowl of your electric mixer, fitted with the paddle attachement. Cream the yolks and sugar until pale and thick (about 2 to 3 minutes). Beat in the melted chocolate mixture and vanilla extract. Fold in the ground almonds. In a clean bowl, place the egg whites and whisk until foamy. Add the cream of tartar and continue whisking until soft peaks form. Gradually sprinkle in the remaining 1/4 cup (50gm) sugar and whisk until stiff peak forms. Fold about 1/4 of the whites into the chocolate batter to lighten it. Quickly fold in the rest of the whites and mix only until incorporated. Pour the batter into the prepared pan and bake for about 45 to 50 minutes or until a toothpick inserted in the center of the cake has a few moist crumbs. Remove from oven and cool on a wire rack. The cake will rise during baking but falls during cooling, leaving a crisp and cracked crust. Once cool, run a spatula around the inside of the pan before releasing the sides. If not serving immediately, cover and place in the refrigerator. Serve cold or at room temperature. Dust with powdered (icing or confectioners) sugar.